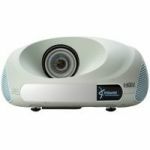 Engage your audience with an IN3916 WXGA interactive projector instead of a cumbersome and expensive interactive whiteboard or smartboard. Turn any surface into an engaging, collaborative interactive workspace. It's like an interactive whiteboard without the board. Control all your favorite PC or Mac applications with the wireless LiteBoard Wand just as you would with your mouse. - No special software is needed: it works with the software you use today. Anyone can participate and interact because they don't need to touch the image -- just point and click the wand. You can't do that with an interactive whiteboard. 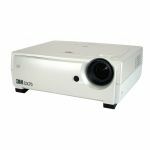 Get your message across from the front row to the back with the IN3916 projector’s clear and powerful audio system – one of the best you’ll hear in this price range. 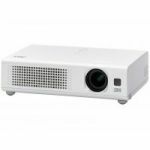 Get big images when the IN3916 short throw projector is close to the wall to reduce shadows, free up space, and reduce ambient noise. Easily connect your PC or Mac, DVD player, or document reader via a multitude of inputs. The IN3916 even lets you present from a USB thumb drive, and includes HDMI, networking (LAN), and RS232 inputs. 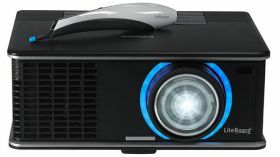 A presenter or teacher can connect up to 32 computers to one IN3916 projector (via a network or optional wireless connection) and control who presents from one web page.